The different terminologies and types of anesthesia for dental procedures can be downright confusing! For example, our office gets phone calls all the time in which the caller says “I want to be put to sleep for a root canal” or “Doc, just knock me out to pull my tooth.” We then spend time explaining exactly what IV sedation is and how we are only one of a select few general dental offices in all of Connecticut which can do this type of anesthesia. Naturally, it made sense to have a detailed page explaining the various types of anesthesia. Note that this is a somewhat simplified explanation based on standards published by the American Society of Anesthesiologists (www.asahq.org). General anesthesia is where you are literally put to sleep. Your heart will likely be affected. You may stop breathing. In those cases, drugs are injected to paralyze your vocal cords so that a breathing tube can be placed into your windpipe. It is not a trivial undertaking. And it is not without risks. While general anesthesia is certainly indicated for invasive procedures in a hospital (joint replacement, open heart surgery, appendectomy), it is overkill for most dental procedures, including wisdom teeth extractions. Because of the risks associated with general anesthesia, only an oral surgeon or a dental anesthesiologist can provide this service in a dental office. 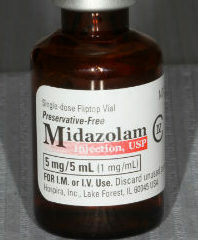 In moderate sedation, you are given medications to make you become very sleepy. You may fall asleep – but it is the type of sleep that if Dr. Calcaterra pushes your shoulder, you will wake up. And if he asks you a question, you’ll be able to answer (somewhat slowly and possibly with slurred speech). Your heart is relatively unaffected, you will always breath on your own, and your protective reflexes are intact. 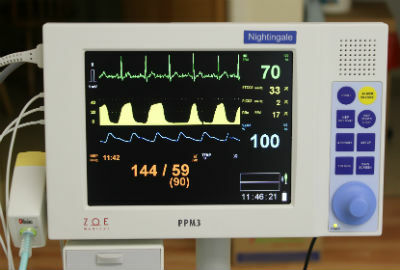 In moderate sedation, we monitor many parameters to keep you safe. For most dental procedures, including wisdom teeth extractions and root canals, this level of sedation is sufficient. The medications used have an amnesia effect. And you are also given local anesthesia so you feel no pain. The net result is that you feel no pain, you don’t care what’s happening, you may fall asleep, and you don’t remember anything. All of this without the risks of general anesthesia. To provide IV or moderate sedation, you must have extensive additional training, pass a rigorous exam, and then get a license from the State. Because of this, there are only a select few general dentists in the entire State of Connecticut with this permit (see this page for more on the requirements). Dr. Nick Calcaterra is one of the few with this license and has extensive experience. For a detailed article on the medications we use for sedation, see our summary. Anxiolysis literally means “breaking of anxiety.” In this mode, you are given medications or a gas that relax you. You remain relatively alert and aware throughout the procedure. 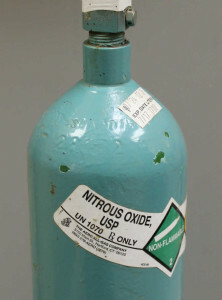 Nitrous oxide alone or a small dose of valium are examples of minimal sedation. Our experience is that for fearful or severely anxious patients, this mode is not sufficient. Because the risks in minimal sedation are almost negligible, there is little additional training needed, and no additional license is required (at least in Connecticut). As one of Connecticut’s premier sedation dentistry offices, we routinely treat patients with either Minimal Sedation or Moderate/IV Sedation. Dr. Nick Calcaterra has the training, equipment, and license to do either. In very rare cases, we are able to provide general anesthesia, but that is with an outside anesthesiologist. Want to learn more? Interested in learning about sedation for dental treatment? Call us at (203) 799 – 2929 or visit this page.